But we will add backups to this site, as well. See the News Releases menu above. The can be found at EmergencyInfoUtah.com and on this website’s blog and on the menu above. Reporting pages on activations of the State Emergency Operations Center, located in Salt Lake City. The current activation level of the EOC is Daily Operations. Sometimes, we are interviewed by the fine folks in the press. Here are those stories. The Division of Emergency Management’s public information and social media program is run by public information officer Joe Dougherty. 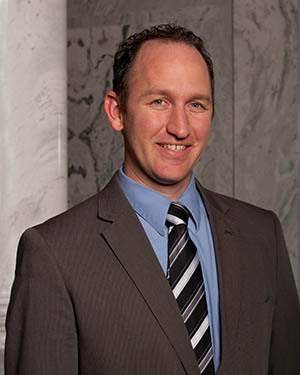 Joe worked as a journalist for nine years in college, at the Standard-Examiner and Deseret News before joining DEM as the public information officer. Joe is part of the Department of Public Safety’s public affairs team. Looking for other Department of Public Safety public information officers? Click here.